News Feed does not show you everything that is available to you, so what are your options? 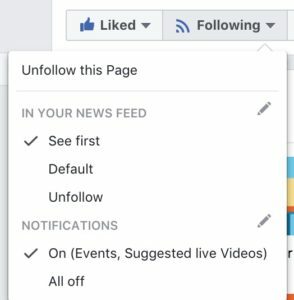 Firstly, be sure to click the Like button at the top of the GAIN Facebook page in order to see posts from the GAIN timeline on your News Feed. Click the the Following button at the top of the page and select See first. You might also want to select notifications for Events too. 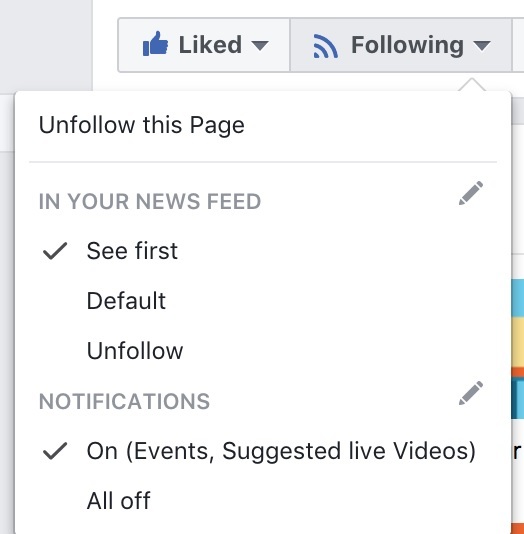 If you are not already seeing content from the GAIN page on your news feed, and would like to, click the Like button at the top of the page. For more information click on controlling what you see. Clicking Like on individual posts should help Facebook to select more of what you want to see on News Feed.